Find cows easily in the barn or on pasture with the user-friendly locator saving your valuable time. 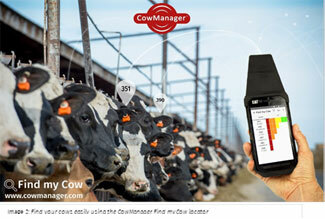 CowManager, the leading cow monitoring company based in the Netherlands, launches a new module, Find my Cow™. The module is the latest addition to CowManager’s smart cow monitoring system. With Find my Cow, CowManager now provides dairy producers a complete monitoring system to maximize their profits (image 1). This new feature is fully integrated with CowManager’s other unique modules: Fertility, Health and Nutrition. This combination makes it easy to find cows in heat and intervene fast after receiving health alerts. Find my Cow comes with a user-friendly, pocket-size cow locator, which enables producers to find cows inside the barn, and outside on pasture (image 2). Moreover, it does not require additional beacons or calibrations. Searching for cows in heat, sick cows, cull cows and cows in the wrong pen on dairies from 10 to 10,000 plus cows will now be an easy and time-saving task, allowing you to spend your valuable time elsewhere. CowManager’s multi-view functionality also allows producers to give the herdsman, employees, the veterinarian and technicians, access to selected real-time accurate herd data. Find my Cow will be available here for pre-order on October 1, 2018 with availability in early February, 2019 in the United States. CowManager is distributed by Select Sires Inc. in North America, Select Sires GenerVations in Canada and World Wide Sires in Europe, Asia, Africa and Oceania. Ask your representative for more information, or visit the CowManager page here. CowManager develops and produces innovative cow-monitoring solutions to improve productivity and profitability on the modern dairy farm. Thousands of producers in over 30 countries rely on CowManager’s easy-to-install, user-friendly ear sensor system. 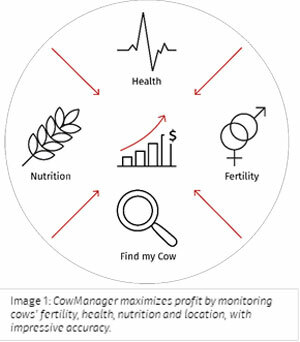 It maximizes profit by monitoring your cows’ fertility, health, nutrition and location, with impressive accuracy. CowManager has revolutionized the world of cow monitoring systems with groundbreaking innovations, and has invented the active ear tag technology, based on generations of knowledge, science and the drive to improve every day. CowManager is available all over the world, distributed and supported by a growing number of dealers. 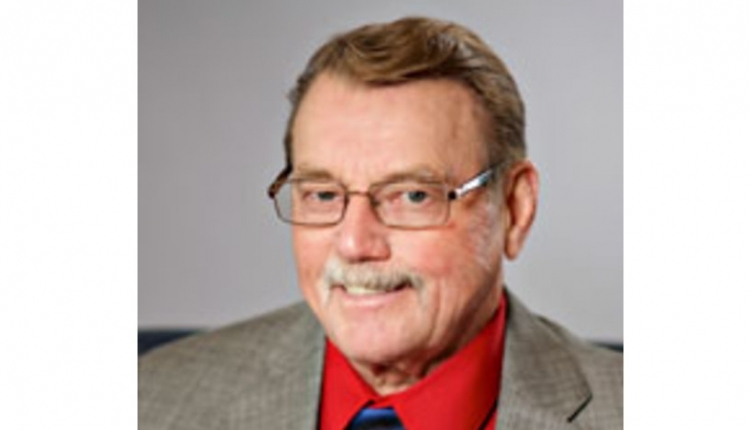 For more information, visit www.cowmanager.com or follow CowManager on Twitter, Facebook, LinkedIn and YouTube.